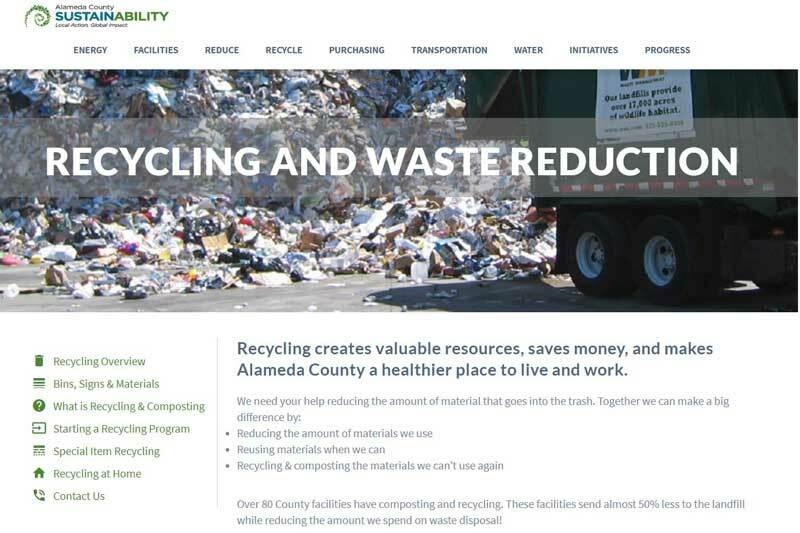 The Alameda County Sustainability Office is charged with improving sustainability practices in County agencies. Their extensive intranet web site had great content with information about programs, policies, and resources, but was challenging to use and navigate. We worked with Sustainability to help them refine their communications strategy, then facilitated focus groups and interviews with constituents to better understand the needs of their community. Using data gathered in those phases, we created a new information architecture to reorganize the hundreds of existing pages, developed a visual template within the County’s enterprise content management system (OpenText TeamSite), and providing writing and editing services for new and existing content.